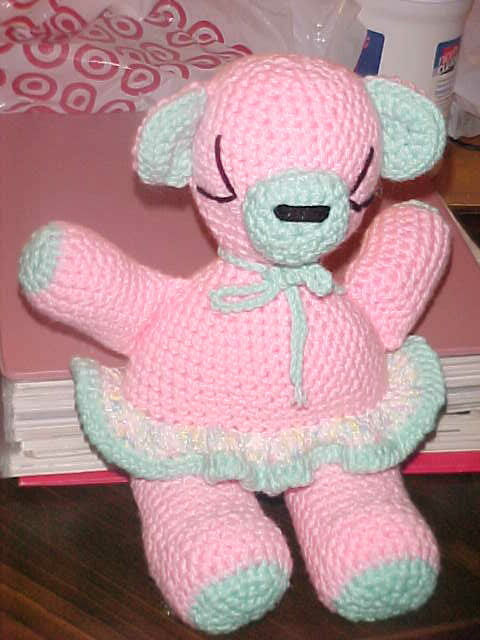 Here is a bear for my son's friend's daughter. My first attempt with cotton. 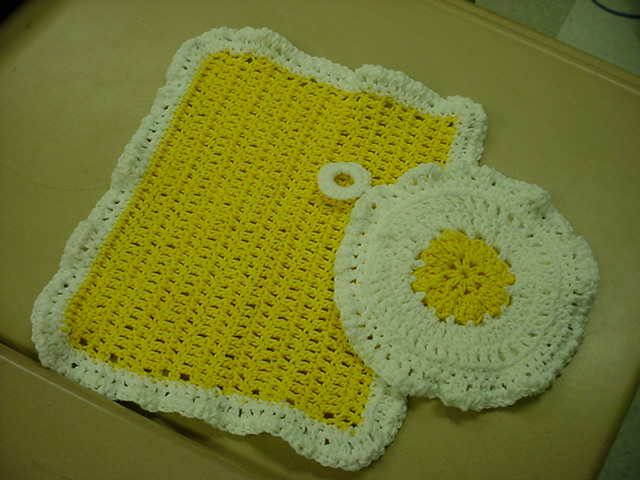 Potholder and dishcloth for a "Crochet Partner."